The iEARN Teddy Bear Project aims to foster tolerance and understanding using email and/or web forums. After teachers register, the facilitator matches them with a partner class. Once paired, classes send each other a Teddy Bear or other soft toy by airmail through the normal postal system. The bear sends home diary messages by email or through an online forum. Understand that the world is made up of many different countries. Help the students grow in self-knowledge. Help the students learn about the different cultures that are held by people from around the world. Foster understanding and appreciation of people and of other cultures. Provide opportunities for the students to communicate with students from other countries who are involved in the Teddy Bear Project. Writing 7 - Conduct short as well as more sustained research projects based on focused questions, demonstrating understanding of the subject under investigation. Language 3 - Apply knowledge of language to understand how language functions in different contexts, to make effective choices for meaning or style, and to comprehend more fully when reading or listening. Language 6 - Acquire and use accurately a range of general academic and domain-specific words and phrases sufficient for reading, writing, speaking, and listening at the college and career readiness level; demonstrate independence in gathering vocabulary knowledge when encountering an unknown term important to comprehension or expression. Engage in social relationships and develop connections and attachments to peers, classroom adults and to the larger community. Understands and respects similarities and differences in others. Participates with increasing interest and enjoyment in a variety of music activities, including listening, singing, finger plays and games. Participate in a variety of dramatic play activities that become more extended and complex. Shows growing creativity and imagination in using materials and in dramatic play situations. Uses representational materials such as puppets as a means of self- expression and improvisation. Gain ability in using different art media and materials in a variety of ways for creative expression and representation. Begin to understand and share opinions about artistic products and experiences. Communicates experiences, ideas, needs, choices and feelings by speaking. Look for meaning in visual symbols. Develops a growing understanding that print can serve a variety of functions such as information, directions and pleasure. Exhibit a growing interest in and involvement in listening to and telling a variety of stories. Describe and share their experiences. Begin to create own non-fiction accounts of daily occurrences songs and poems. Demonstrate the behaviors of a beginning writer. Experiment with a growing variety of writing tools and materials such as crayons, markers, paint, and pencils. Uses drawings to represent experiences. Begin to represent stories and experiences through pictures, dictation and experimental print. Understand that writing is a way of communicating for a variety of purposes. Apply skills of communicating, sharing and cooperating with others who have similar and different perspectives. Understand that all people have basic needs. Contact with partner classes teacher through e-mail. Discuss timeline and procedures to be used. Share ideas and information about one another. Type out and make copies of all needed parental consent and information forms. Purchase a teddy bear that represents NY, USA to send to partner class. Write out lesson plans for theme. Get all technology ready to be used. Students will learn about other cultures and improve computer and communication skills. Share and exchange thoughts, feelings and information. Feelings: Excited to begin, to learn and make new friends! What is it like to live in NYC in your home? What is it like to live in Australia? Activities to set the stage for the project. Students will participate in a week long theme on Teddy Bears and name a special class teddy bear. 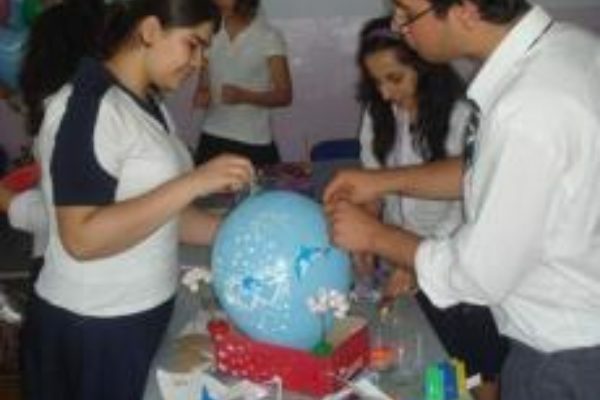 Introduce the project to the students and invite them to participate in it. Share with the students the objectives, desired outcomes, and timeline for the project. Share project information with parents. Have parents sign release forms for studentÃs photographs to be used in the project. 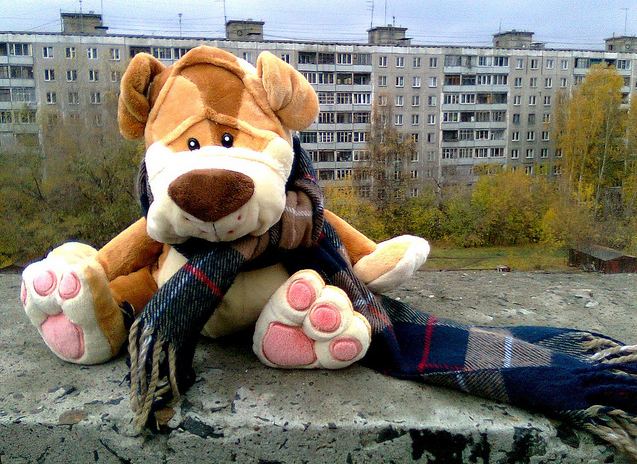 During that week students will draw pictures of their bear and of their school. Photographs of students working on their theme will be taken. Photographs, artwork, special messages from the students and the teddy bear will be sent to the partner class. Students will watch videos and read books about Australia, which is where their partner class is from. Students will share their culture with the partner class by taking their Australian Teddy Bear home at night and drawing pictures and verbalizing messages that will describe some of the things the bear did that night. Students will be exposed to the concept of e-mail, scanning and digital photography. 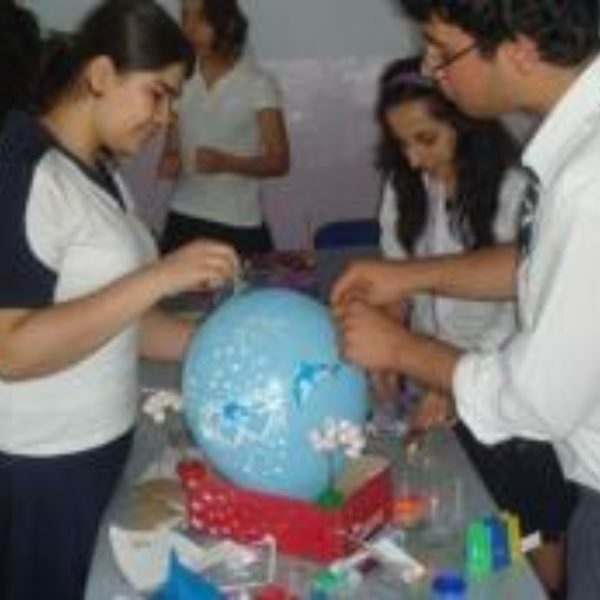 Activities in which students share their knowledge in a culminating event, as well as reflect on the project and their learning. Students will make a class big book for their partner class about the Australian Bears travels and all of the facts that they have learned about their partner class from their communication with them. Students will work on drawing pictures of themselves and their family to their partner class. Students will work on describing themselves and their favorite activities to participate in at school. The teacher will record the students dictation. Their work and their teddy bear will be sent to partner class. Students will bring home their partner classs teddy bear. They will describe their teddy bears experiences on video and through e-mail messages to their partner class in Australia. Students will continue to communicate through artwork, computer artwork, recorded messages, digital pictures and e-mail. Develop rubrics that assess and evaluate aspects of the project, including collaboration or teamwork, presentation, etc. Students will be evaluated during their participation in lessons and activities. Their communication skills and new vocabulary will be monitored. Students will be asked what their favorite part of the project was? Their answers will be recorded on a tape, which will be sent to the partner class. ____ Uses words to make connections between prior and new experiences and ideas. ____ Uses drawings to represent experiences. ____ Uses drawings paintings and letter-like approximations to express thoughts feelings and ideas. ____ Understands that writing is a way of communicating for a variety of purposes. ___ Identifies similarities and differences among him/herself and others. ___ Develops a growing understanding of position in space, geographical location and direction. ____Shows an increasing ability to participate in discussions with peers and adults. ____Shows in increasing ability to participate in group projects. ____Understands and respects similarities and differences in others.